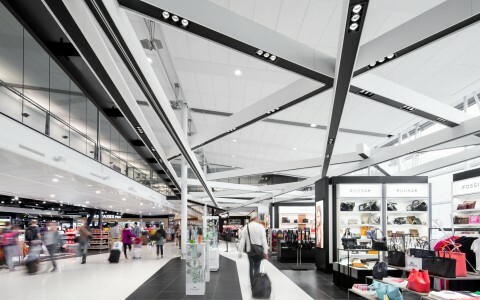 Architect: 54 North Design Ltd. 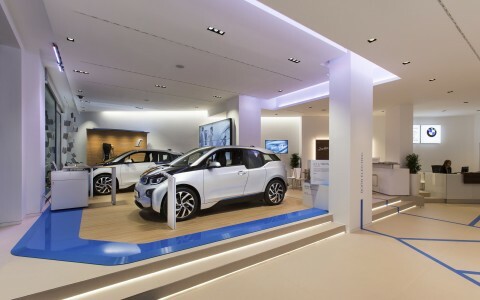 High-performance automobiles meet high-performance lighting. 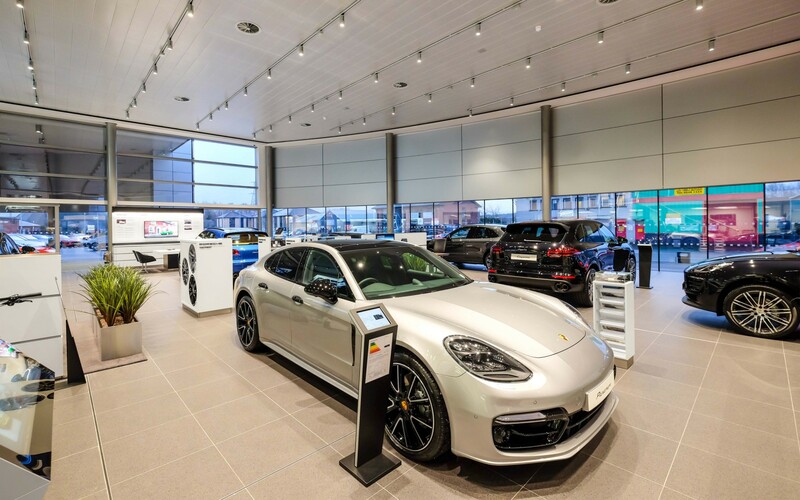 The Belfast showroom of fabled car manufacturer, Porsche, is treated to the technological and aesthetic prowess of the M-Series spots. 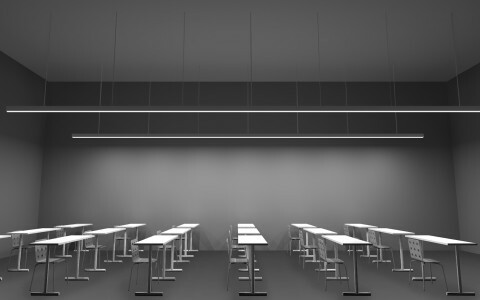 The optics and the color rendering capabilities did it for us. 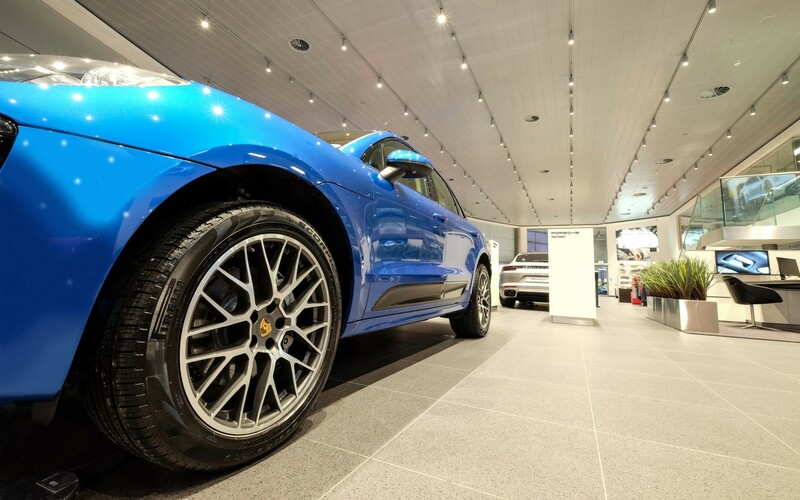 The M-series spots gave us the flexibility and ease the client needed. 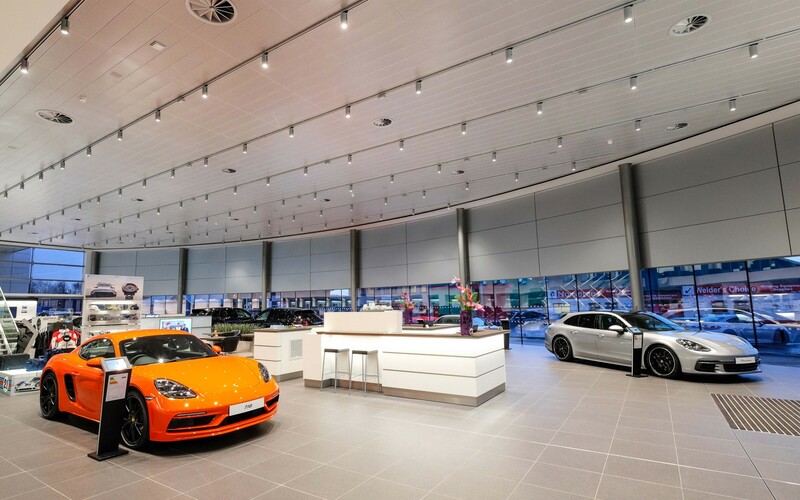 Creating a cutting-edge car show room equal to the legacy of Porsche could be daunting for some, "The main concern" said Gary McElkerney, Lead Design Consultant for Chroma Lighting, "was to make sure lighting could handle changing scenes throughout the seasons, so that when visitors pass, the showroom's lighting always looks different and dynamic." 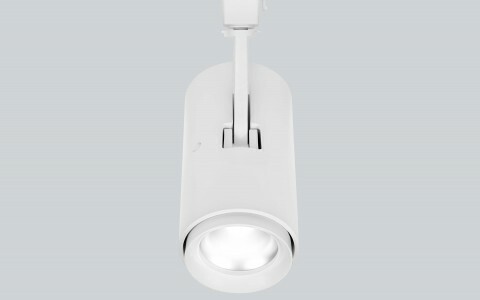 Chroma Lighting met and surpassed all expectations with the help of the leading-edge technology of the M-Series spotlights. 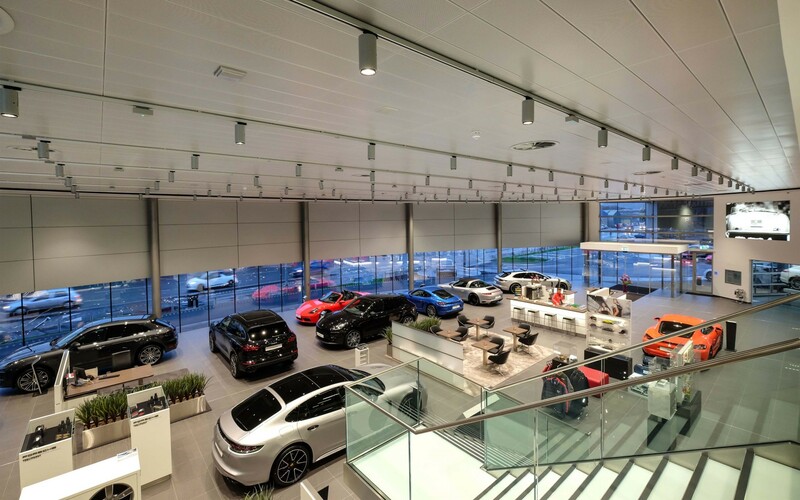 Primarily used on tracks in the Porsche showroom, the M4 spotlights provide the general lighting for the space from the six-meter-high ceiling without creating any pin spotting, in case cars get moved around on the showroom floor. "We did not want to be spotting the floor, or creating shadows on the cars themselves," McElkerney explained. 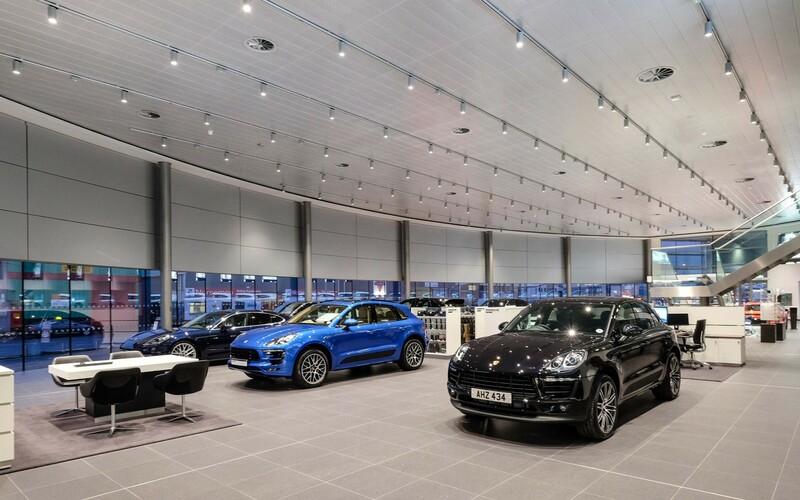 The M4 Spots used in Belfast's Porsche showroom, specified with a color temperature of 3000K and CRI95, offered not only exceptional color rendering, their color stability also offers little color shift over time. 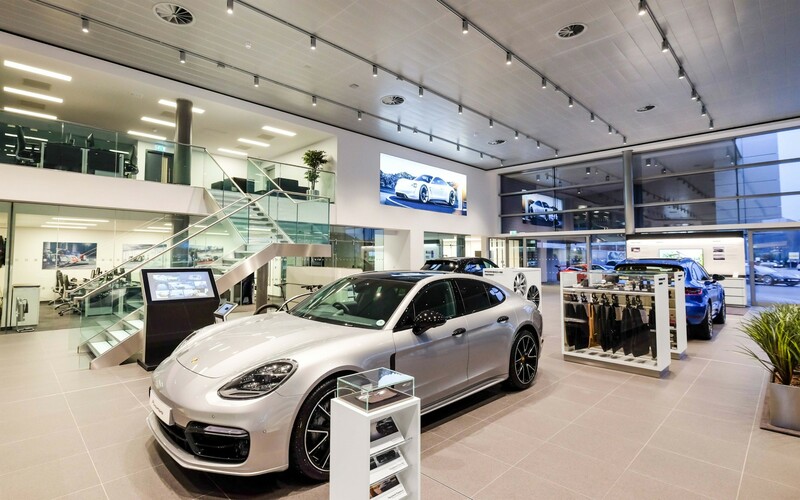 This is of utmost importance in such retail spaces, the perceived colors of the merchandise, in this case Porsches, would not be affected over time. "What drew us to the M4 was the flexibility of optics given to the team for design options. 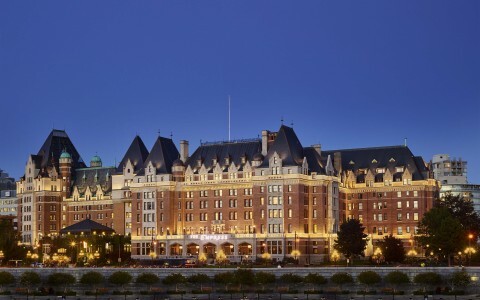 And its exceptional color rendering. The photographer didn't need to tamper with the photographs because of the excellent lighting. The image is what you see thanks to the high color rendering of the M4" said McElkerney. The M4 Spots deliver in the lumen and optics department but also catch the eye. 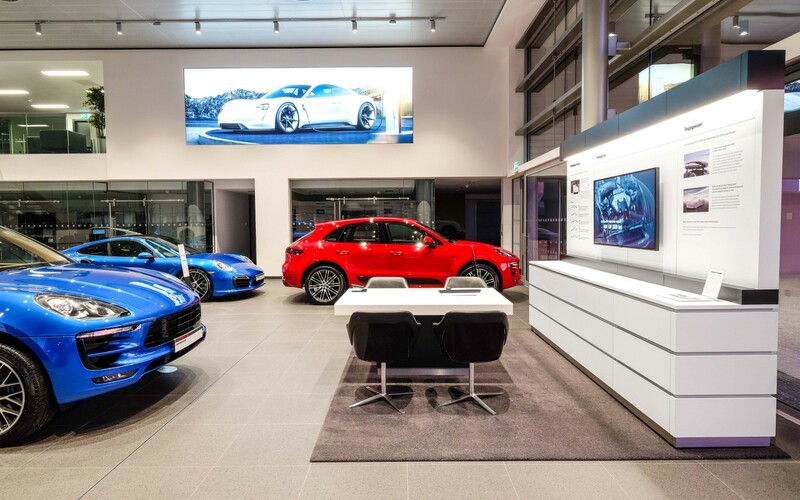 The decorative red bezel and superior finish are what first attracted the client to the product, but after seeing the performance and color rendering, they knew the flexibility of their look goes further. 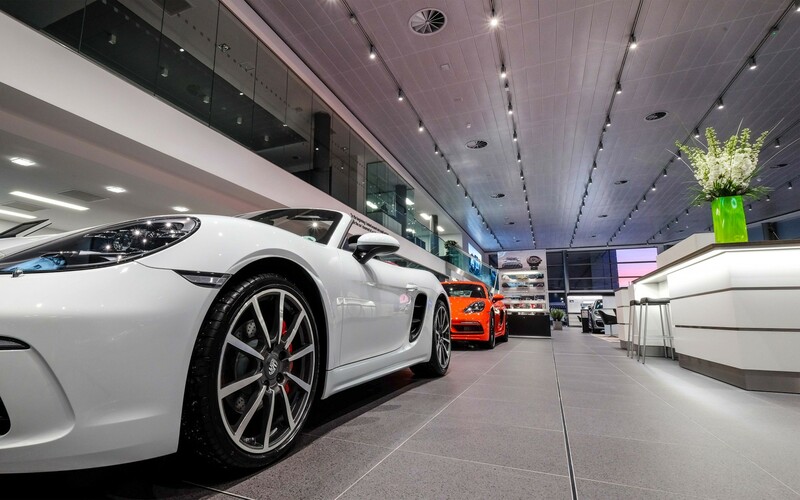 High-performance lighting and high-performance automobiles make fast friends.